A secret World War Two tunnel supposedly runs somewhere north of Civic Center in San Francisco. Built in the early 1900s, this passage used to transport soldiers and materials. Behind a pair of twenty-foot gates, there is a huge metal door. Thrill seekers tell of their adventures deep inside this maze. Doubters insist the photo on the left simply appears to be a sewer, others testify that this urban legend is true. If you are of the latter persuasion, keep in mind that presumably inside there’s a nuke-esque sign that reads “Fallout Shelter”, and best believe I’ll be there if necessary. A second W.W.II underground bunker in the City was featured on The History Channel in 2009. The series, Cities of the Underworld, told in one episode of classified military headquarters beneath San Francisco. A fifteen-foot long tunnel led to the edge of a hundred-foot man-made cement cliff. A metal ladder, pounded into the concrete wall, took one downward to a military complex. 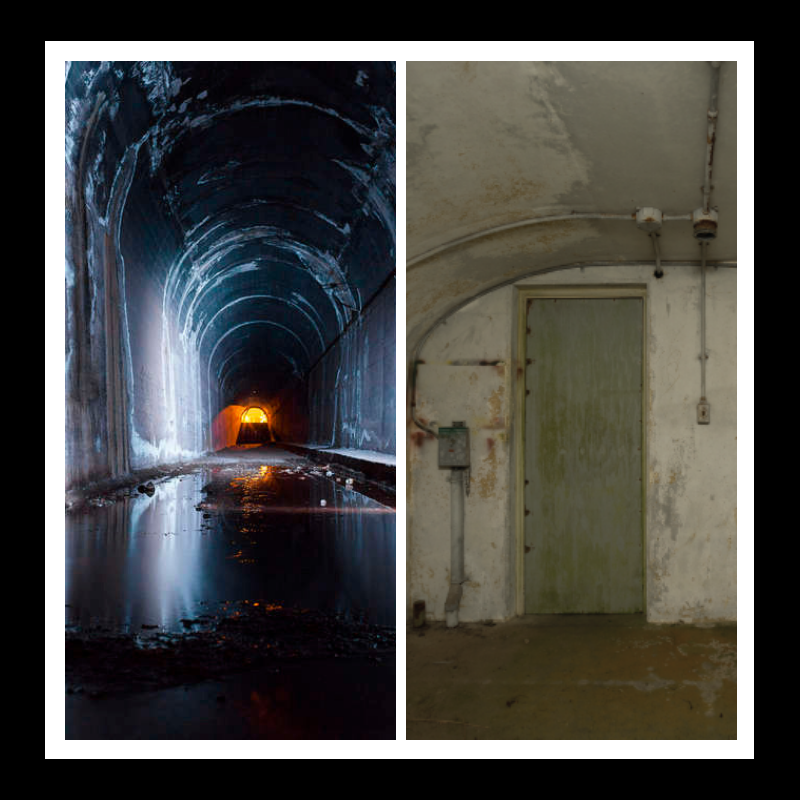 Hidden far below the city’s surface were a series of ballroom-size caverns, tunnels and smaller rooms (right photo) that once existed in a long-forgotten era. The History Channel show initiated a flood of curiosity seekers. The authorities eventually discovered the hidden entrance and shut it down not too long after it aired.